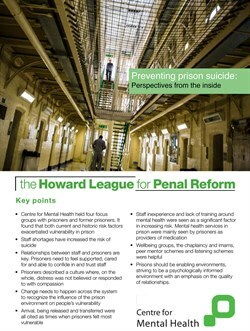 This fourth report in the Preventing Prison Suicides series (published jointly by the Howard League for Penal Reform and Centre for Mental Health) focusses on the views and experiences of prison staff. 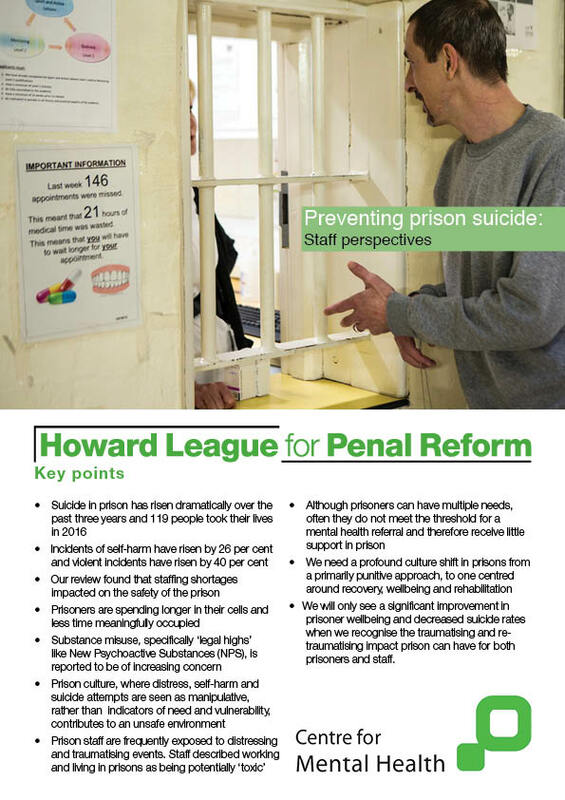 Preventing Prison Suicide: Perspectives from the inside focuses on the views and experiences of current and former prisoners about what contributes to vulnerability and what increases or reduces their risk of suicide. 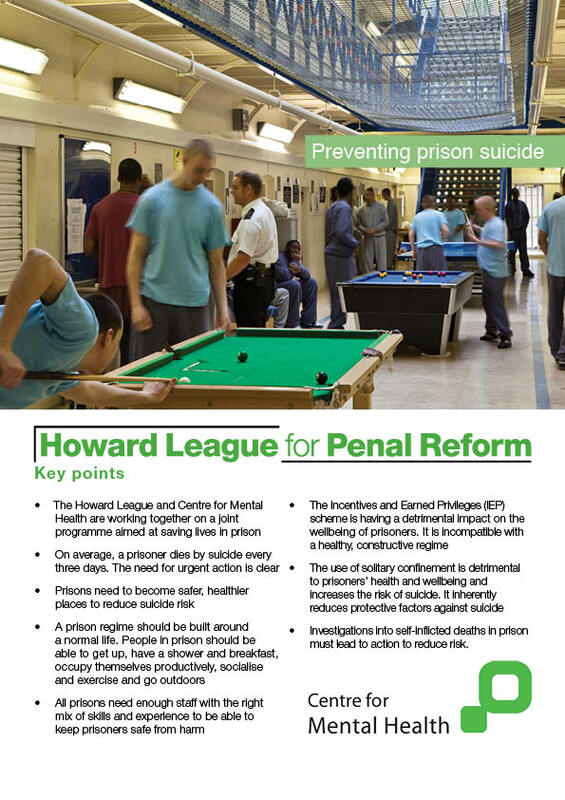 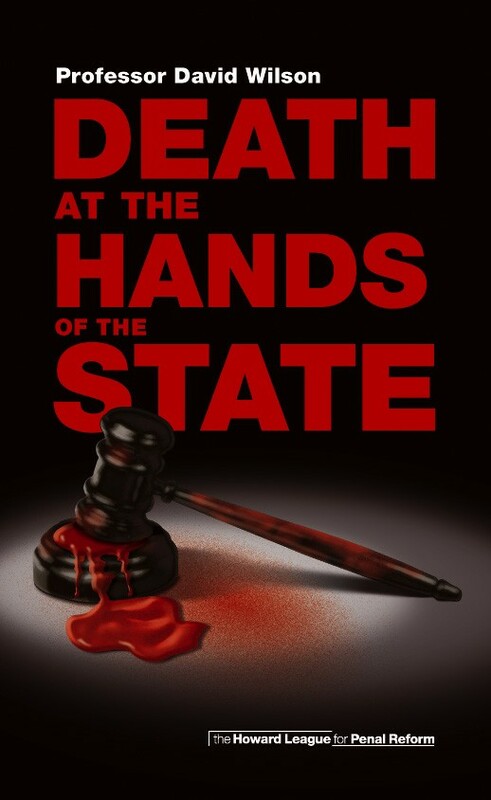 Professor David Wilson's new book, published by the Howard League for Penal Reform, reveals the scandalous truth about the scale of death in prisons in England and Wales. 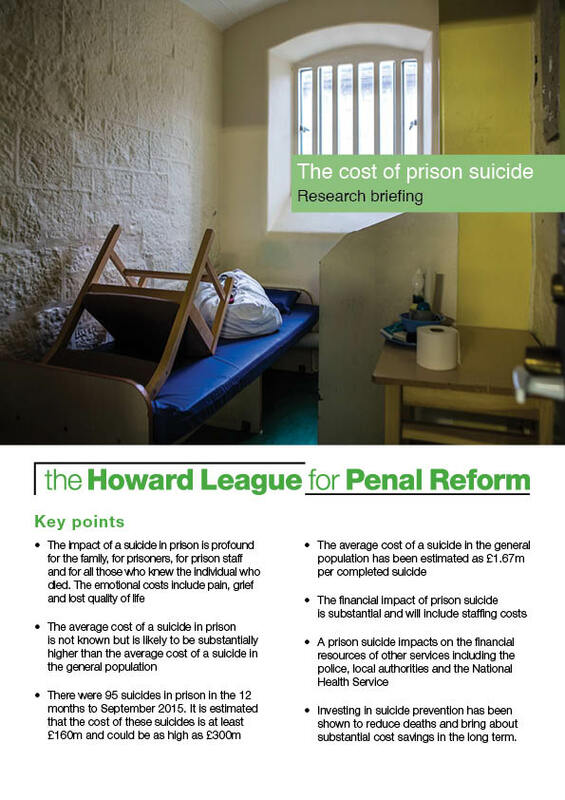 This research briefing is the first publication of its kind to examine the financial impact that a prisoner’s death by suicide can have on public services.